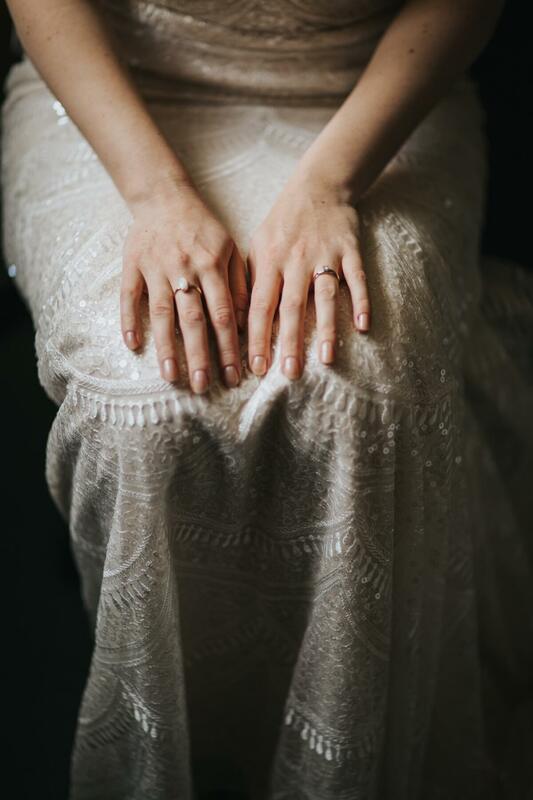 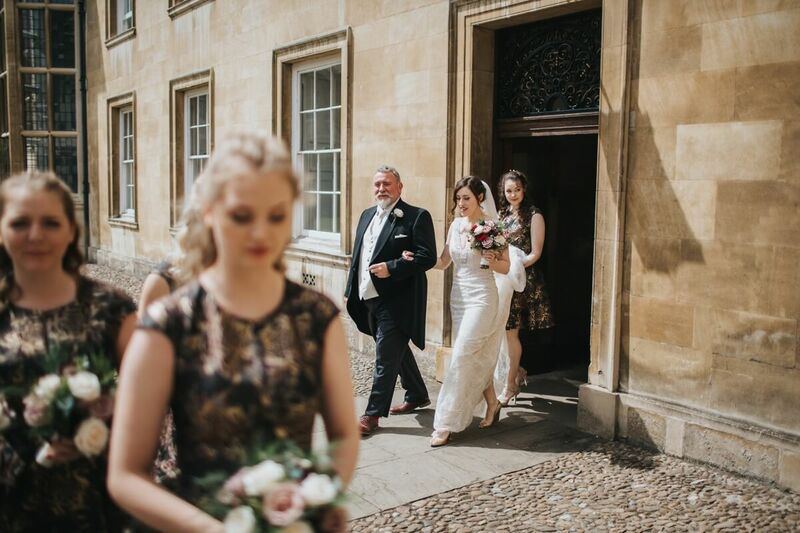 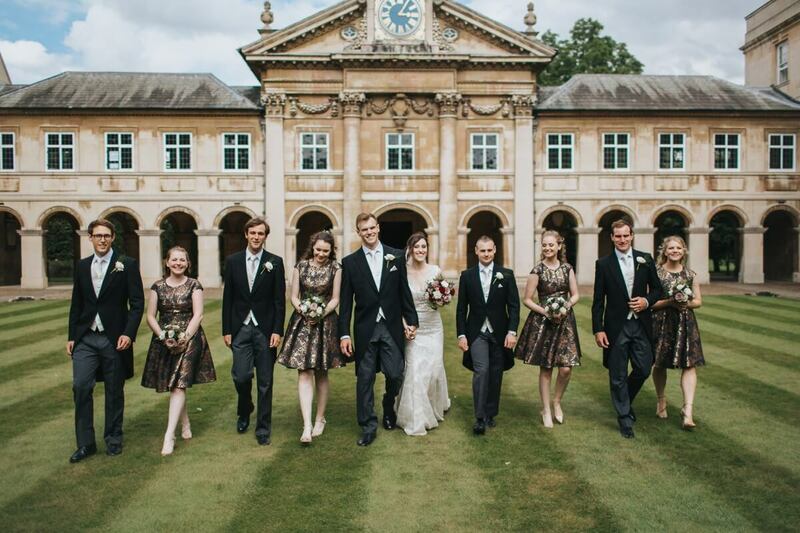 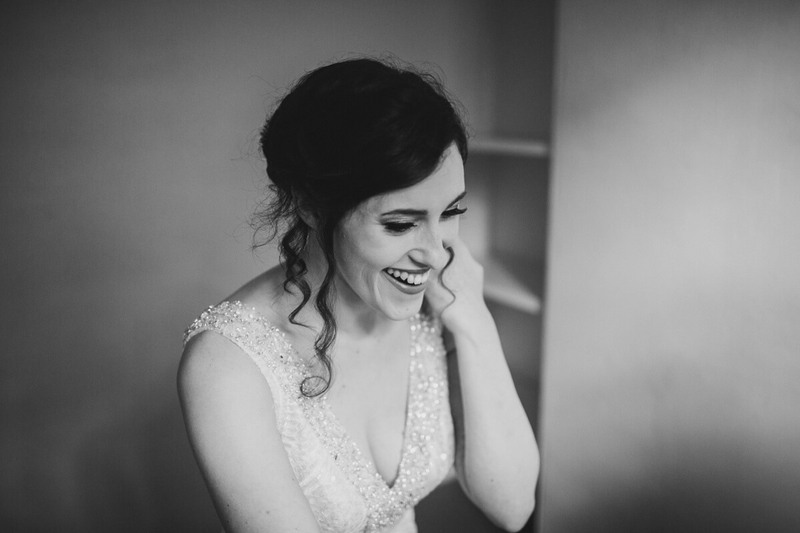 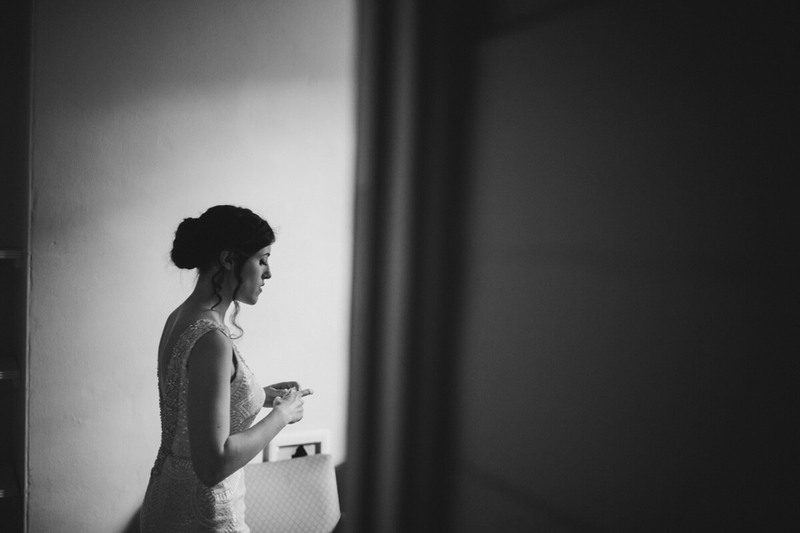 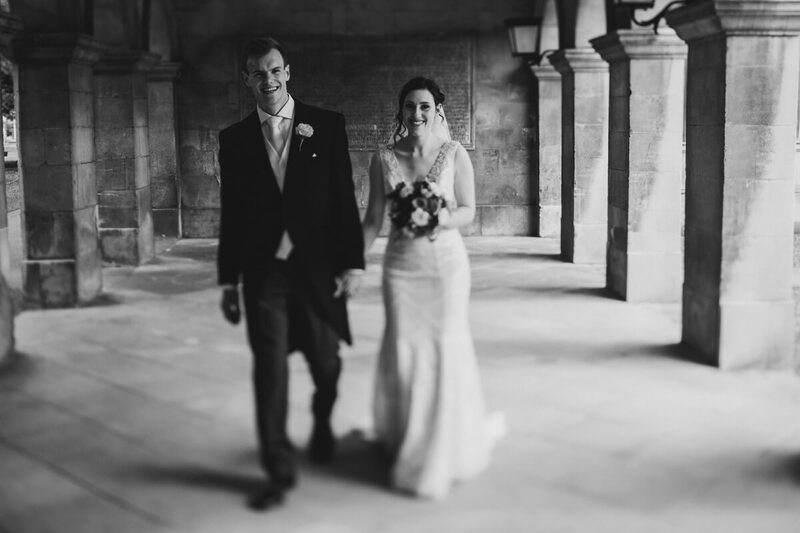 Cambridge wedding photography is always a great pleasure. 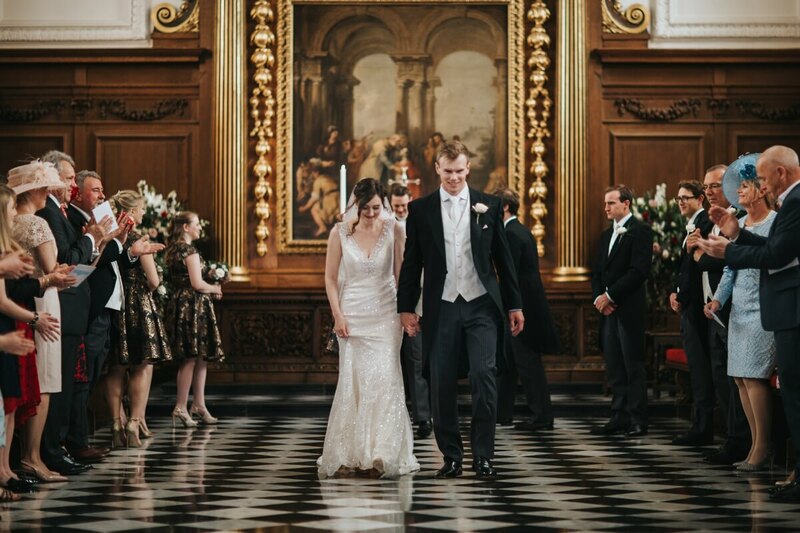 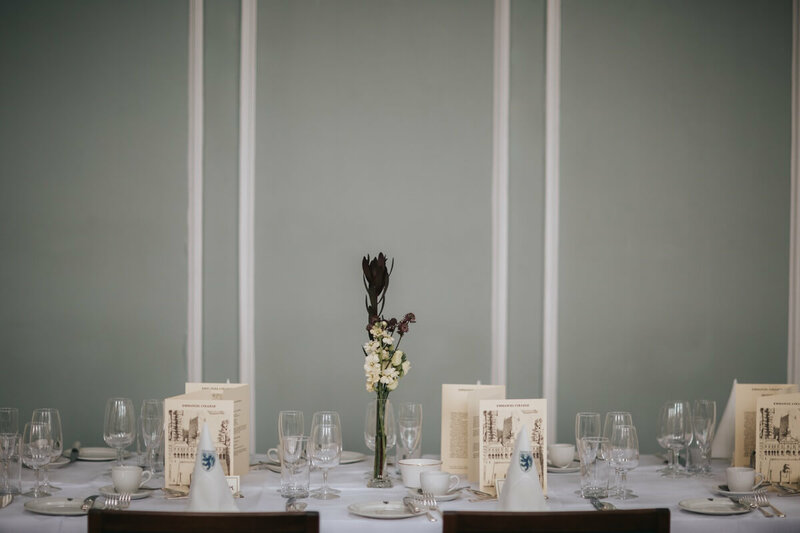 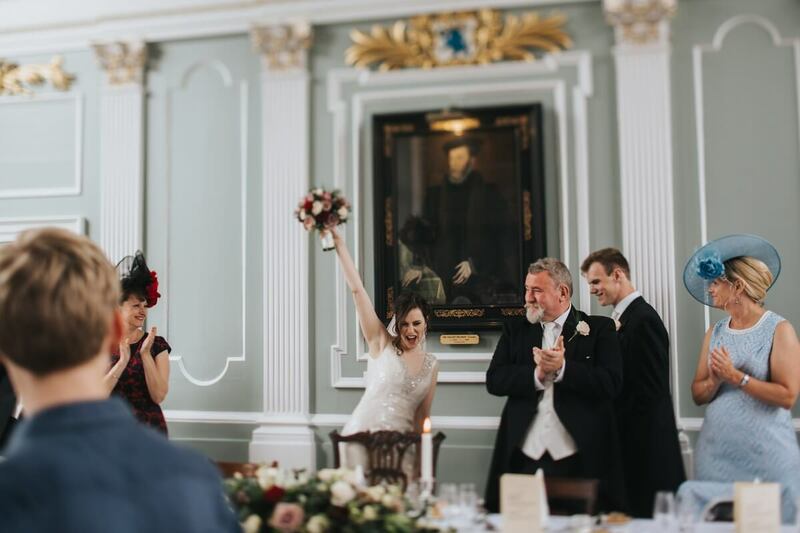 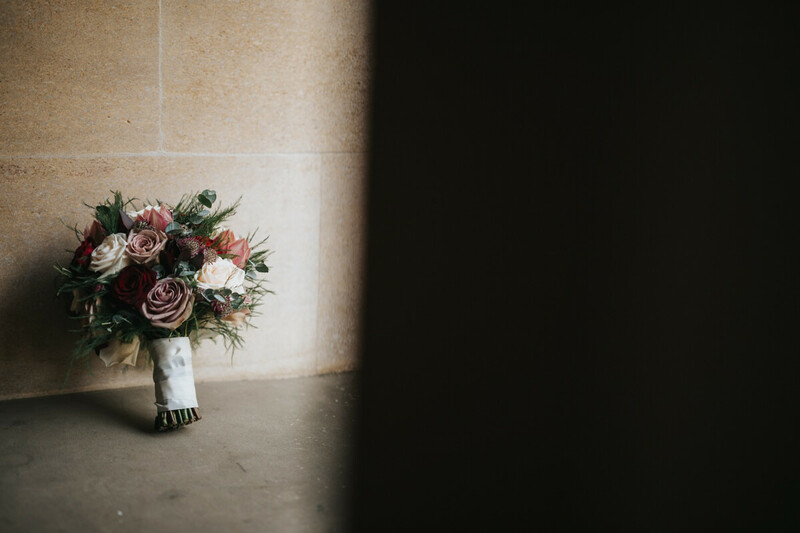 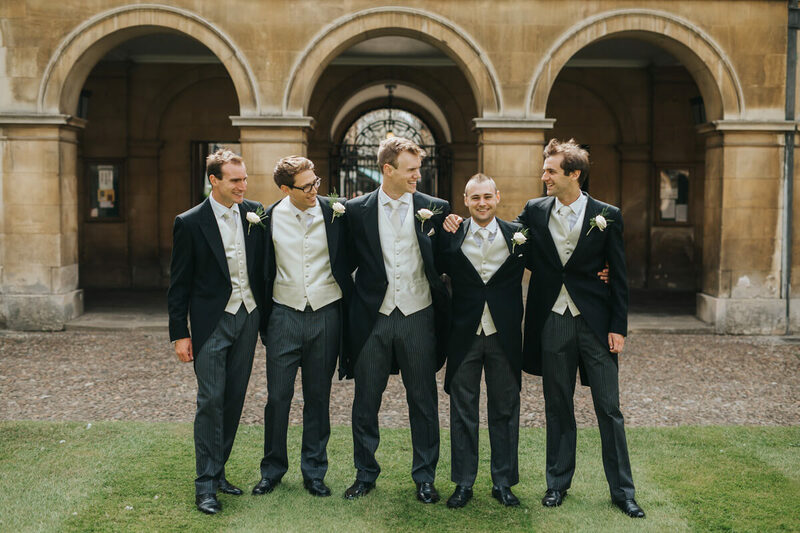 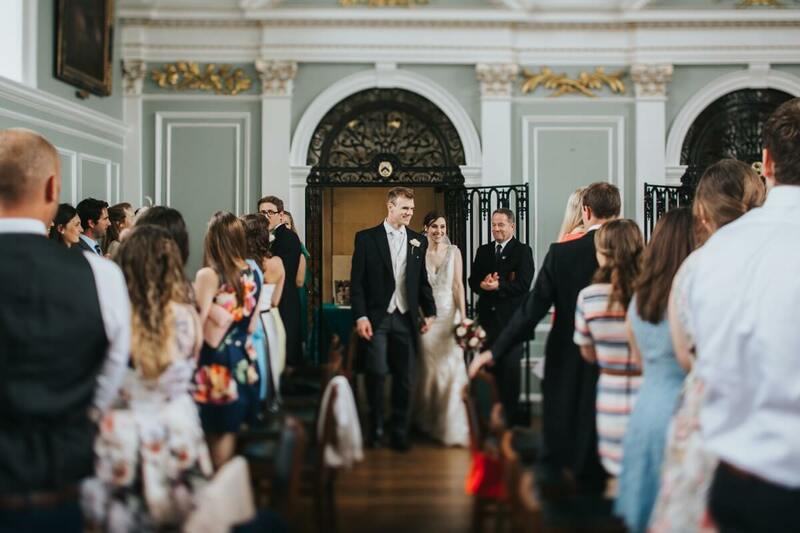 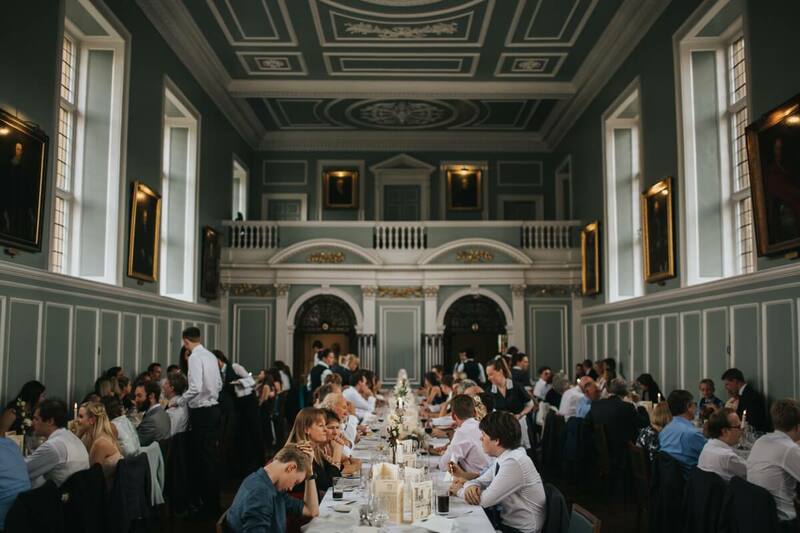 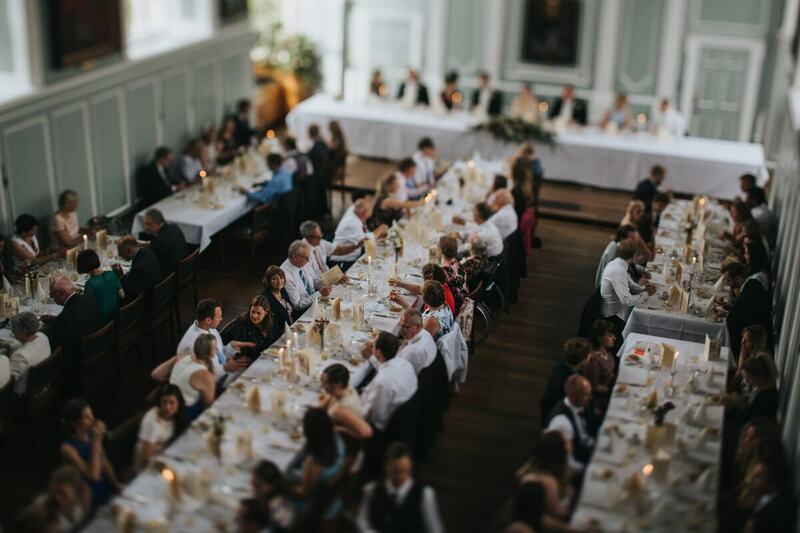 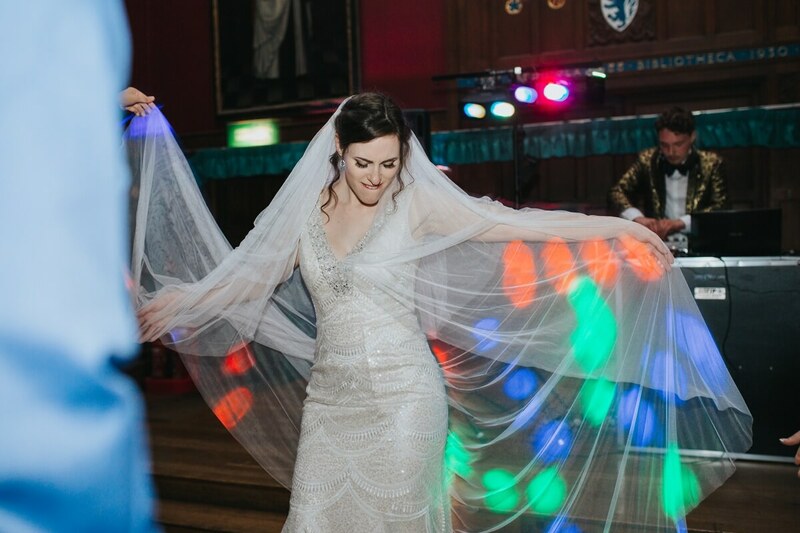 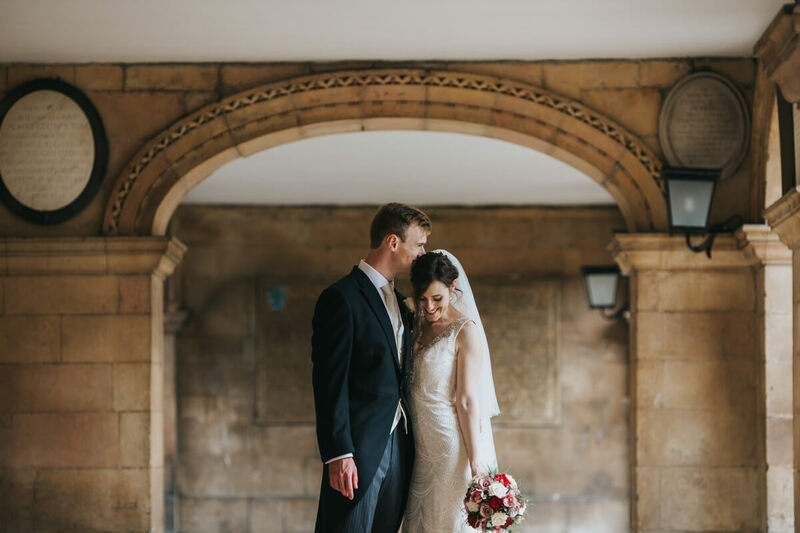 Ralph and Darcy’s Emmanuel college wedding was no exception. 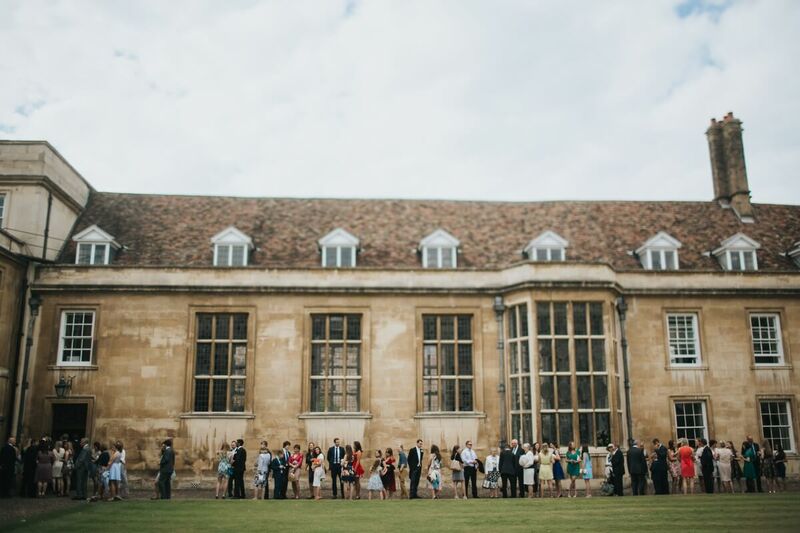 Emmanuel college holds great importance and relevance to them. 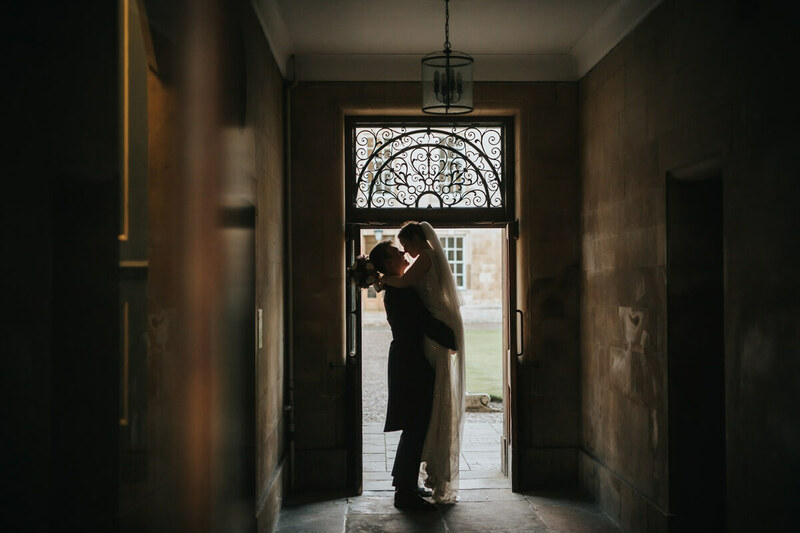 The morning was so relaxed and Ralph and Darcy got ready separately within the halls. 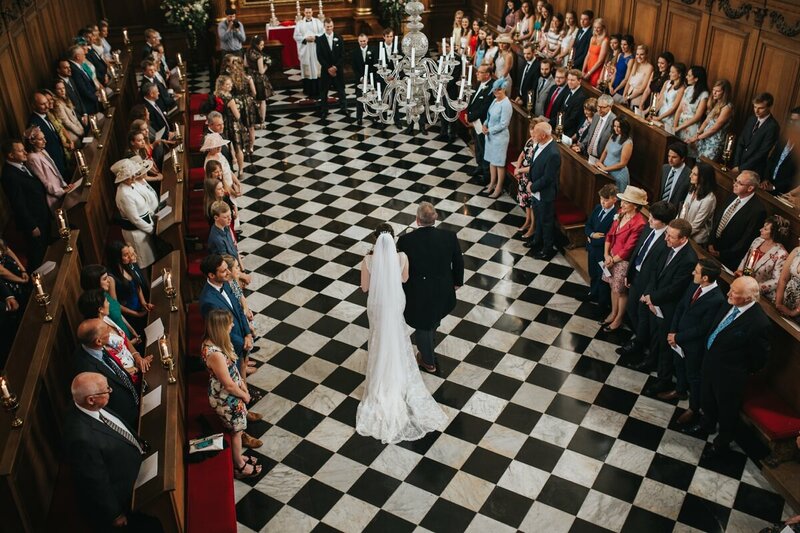 Their ceremony was held in the college chapel, its a truly beautiful building (as with the rest of the college architecture). 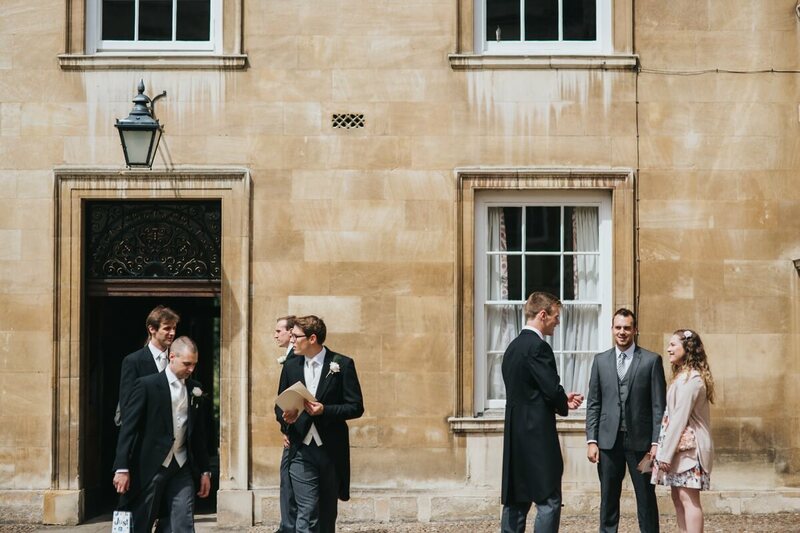 After the ceremony we did some family photographs and guest moved on for canapés and refreshments in the scholars garden by the ponds. 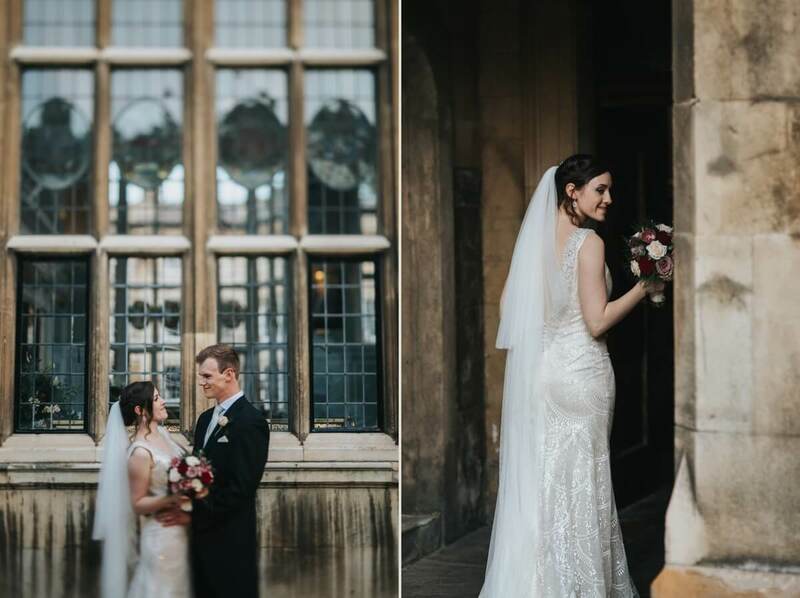 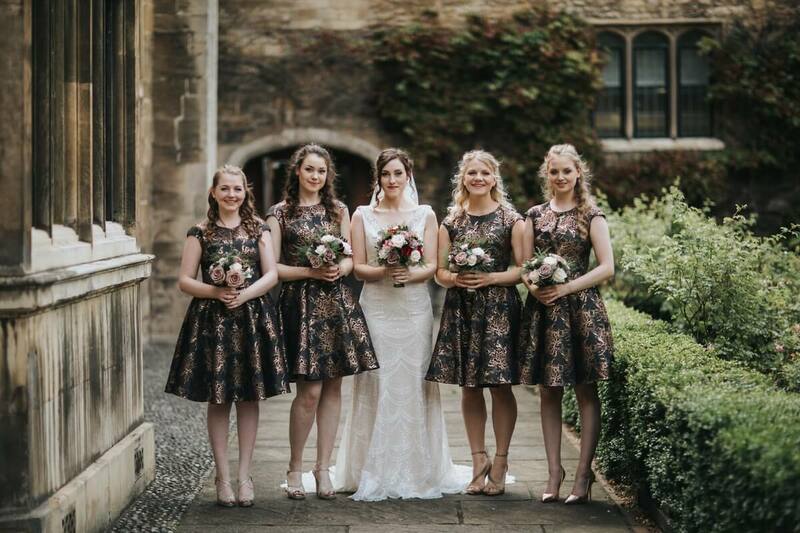 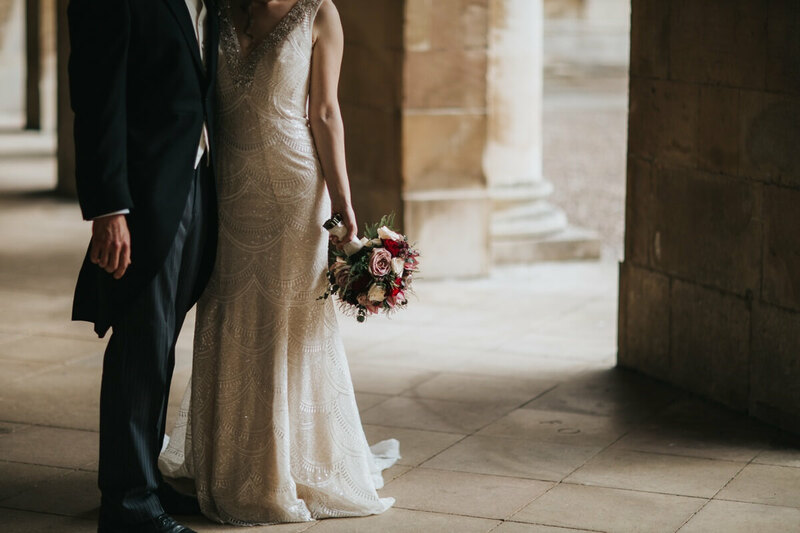 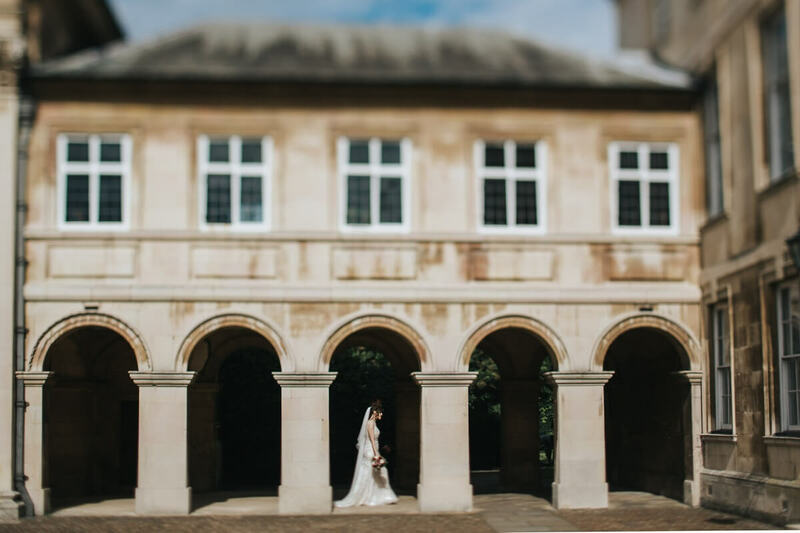 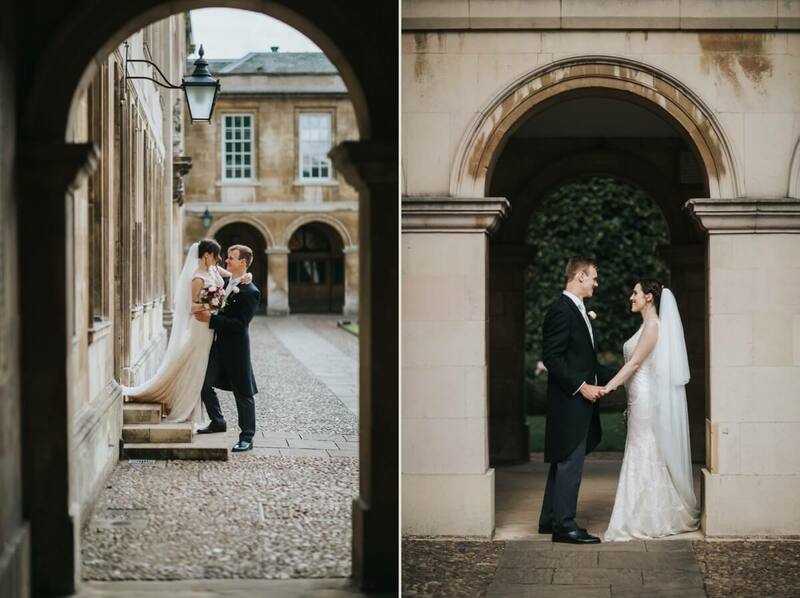 The Cloisters proved a beautiful feature of the college to use in Ralph and Darcy’s photographs together. 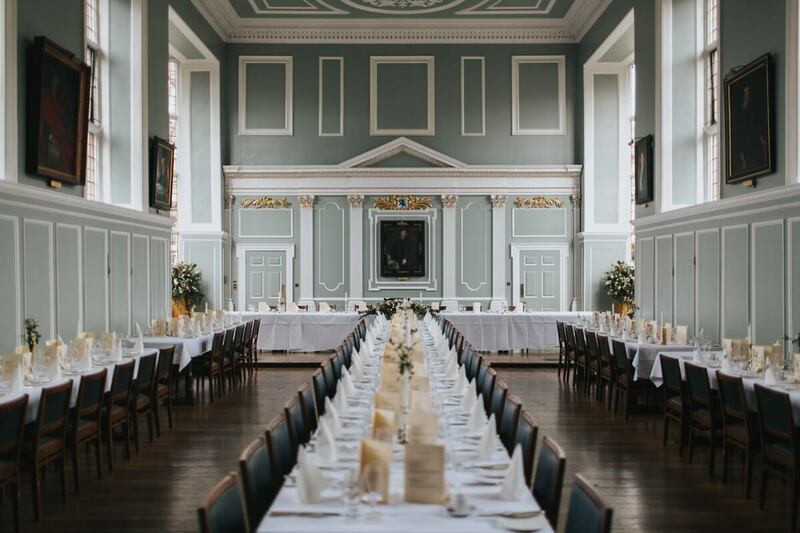 Just look at the beautiful Hall where the wedding breakfast was held. 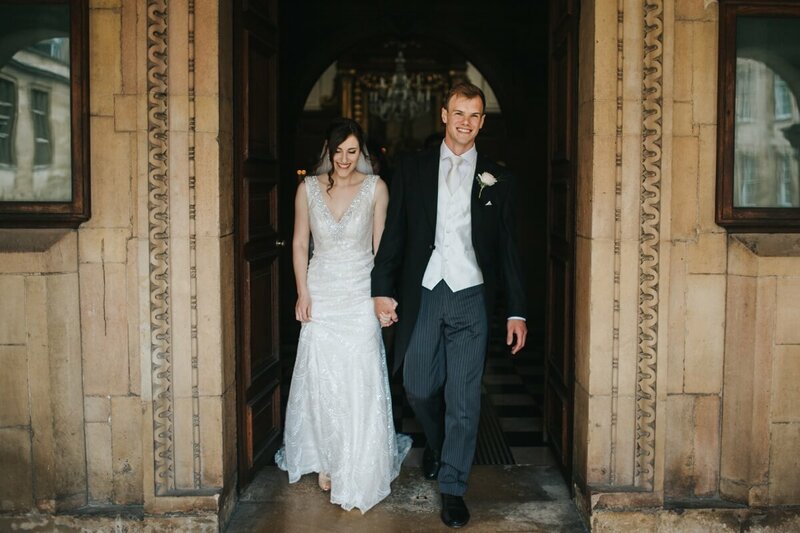 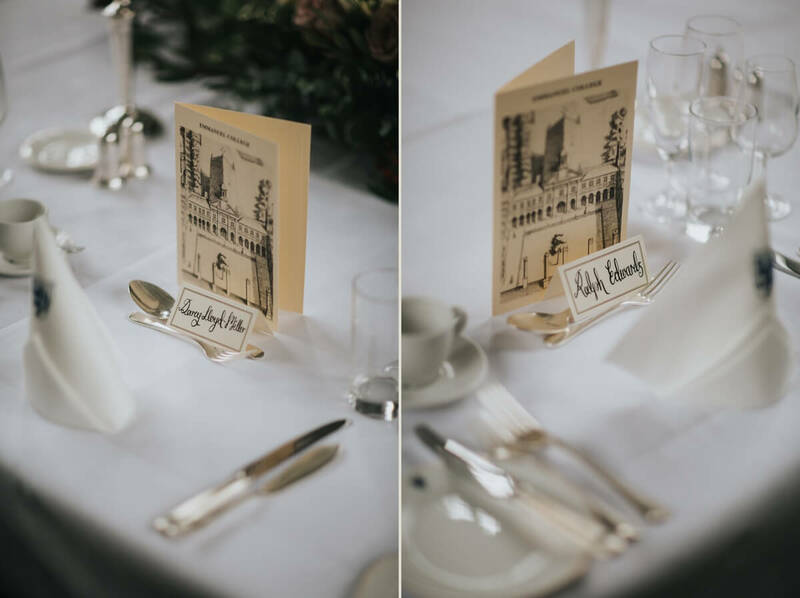 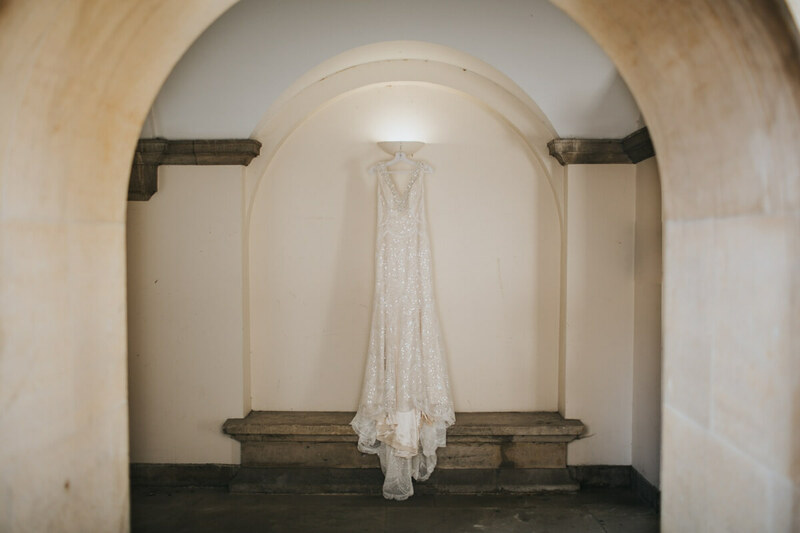 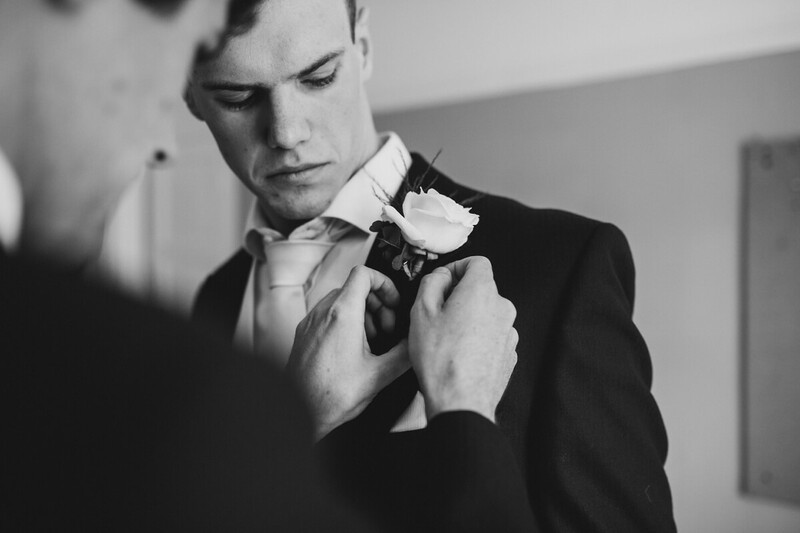 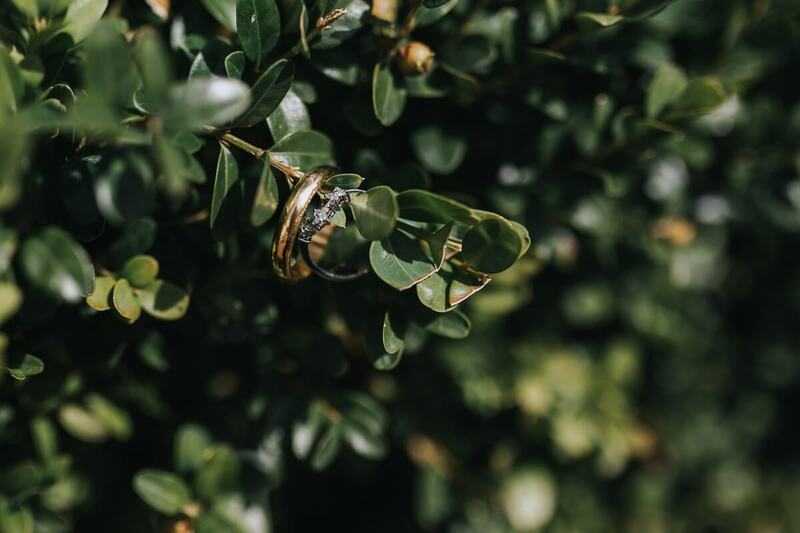 The styling that Ralph and Darcy chose suited the surroundings perfectly. 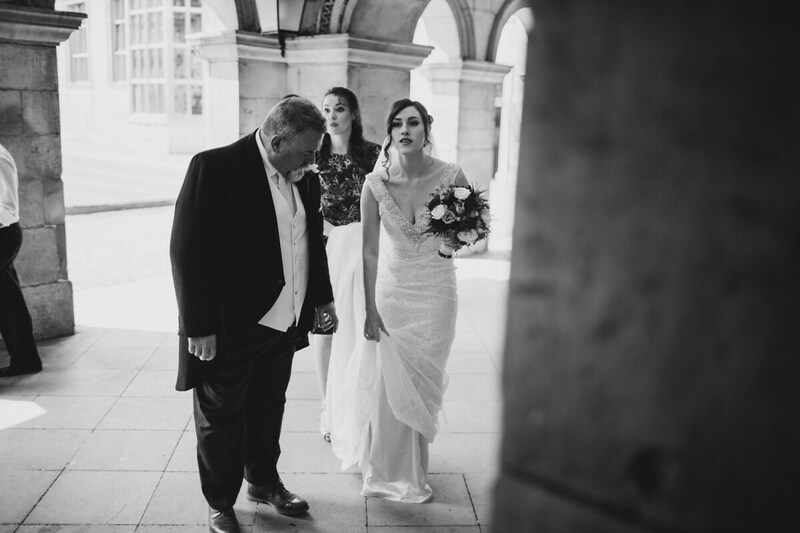 The speeches followed with a break from tradition as their was one from the brides sister as well as her father. 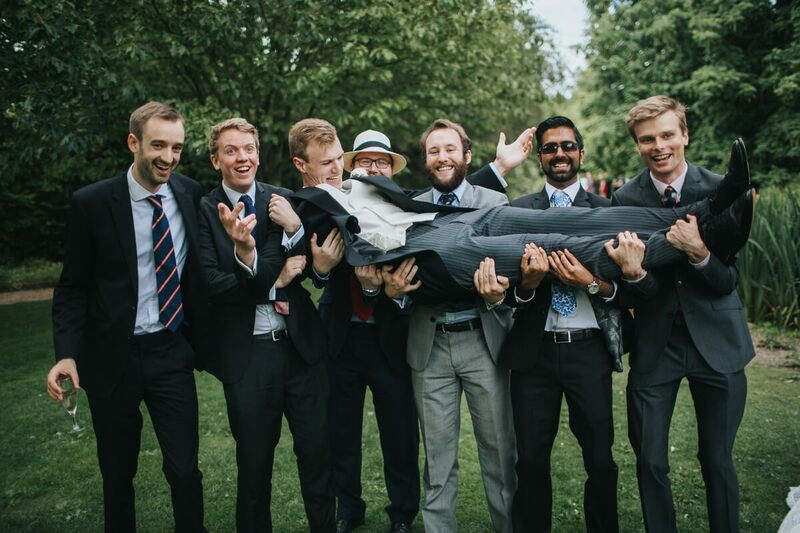 As I’m sure you can tell they all went down a treat with a healthy amount of laughter. 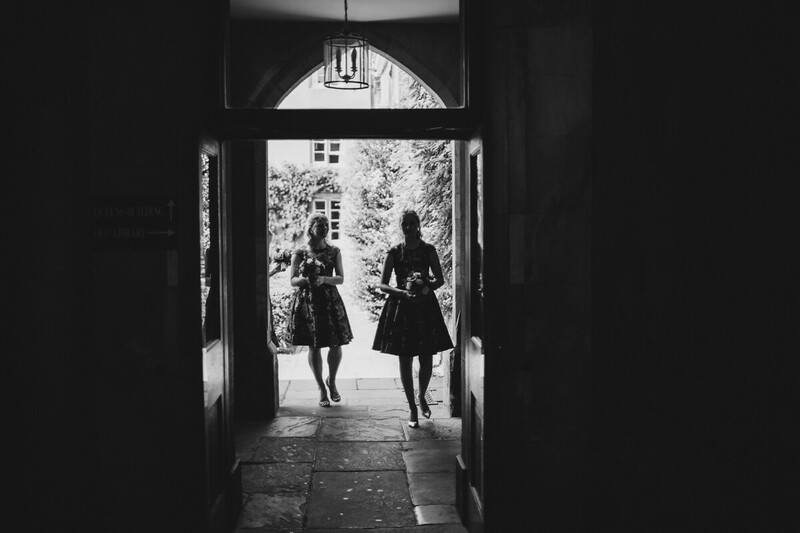 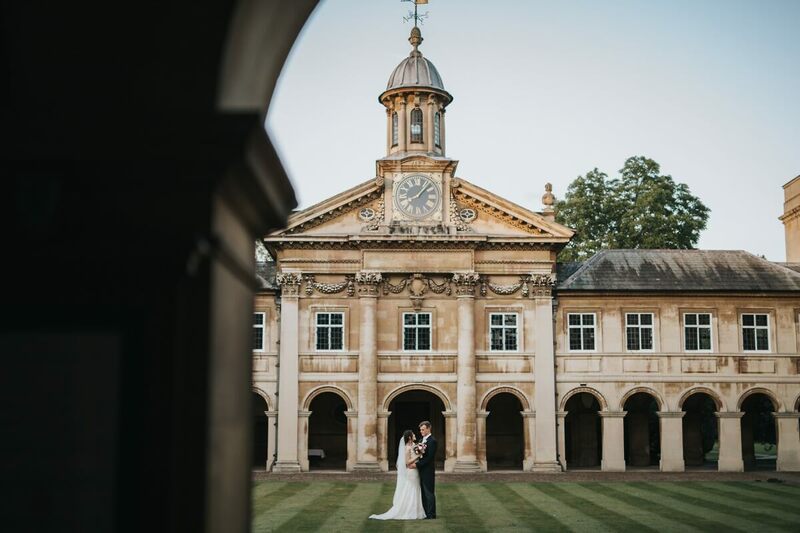 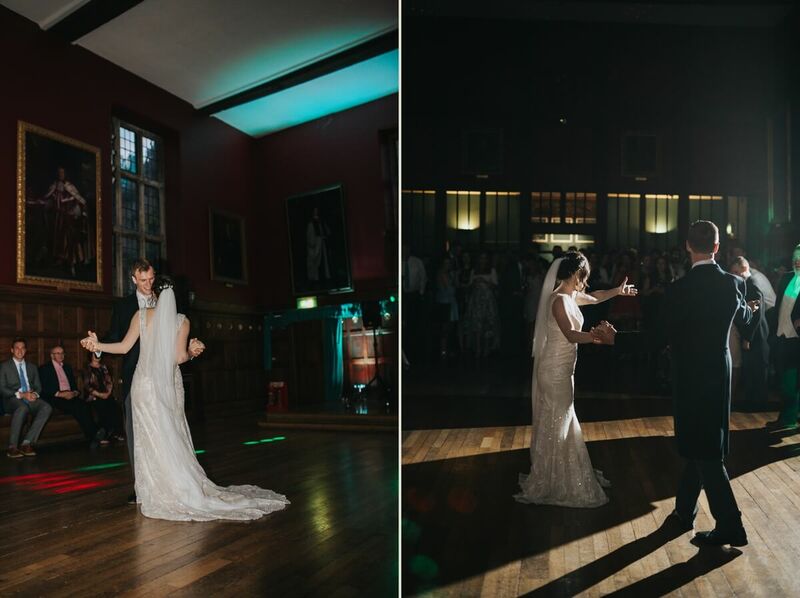 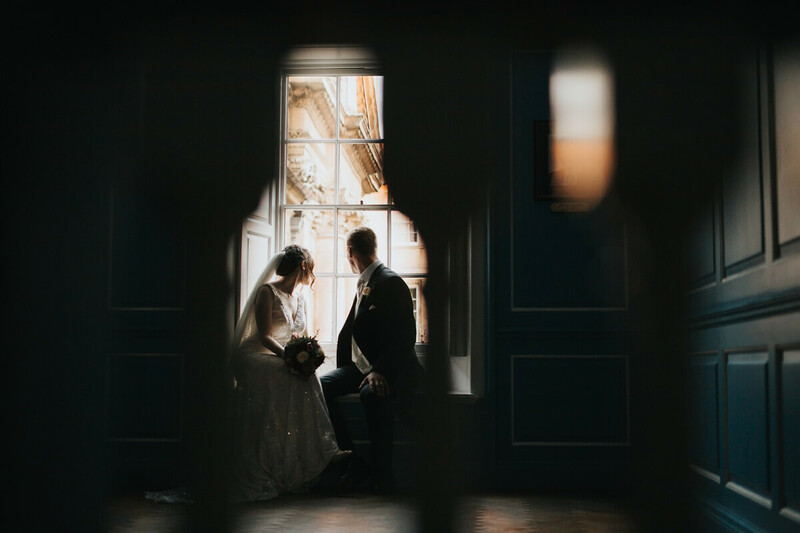 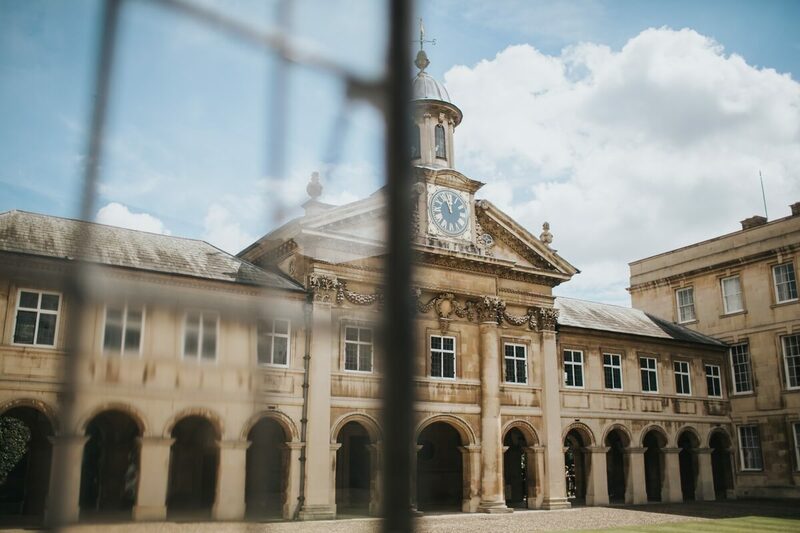 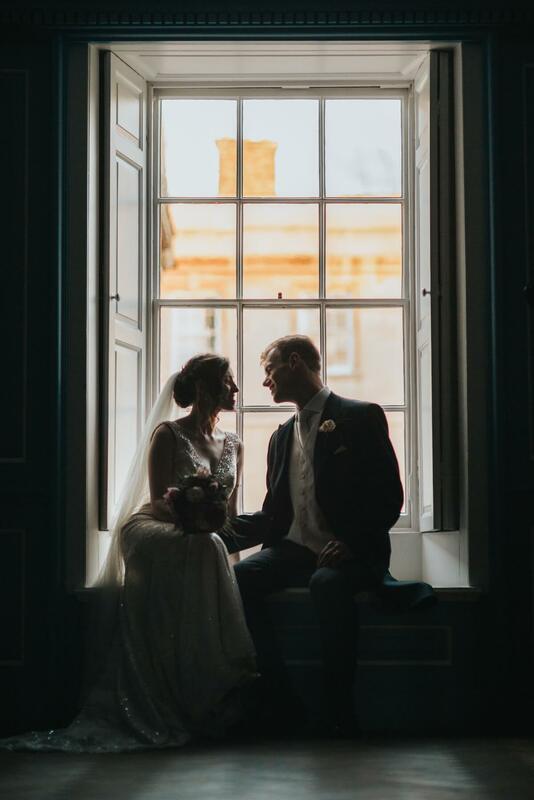 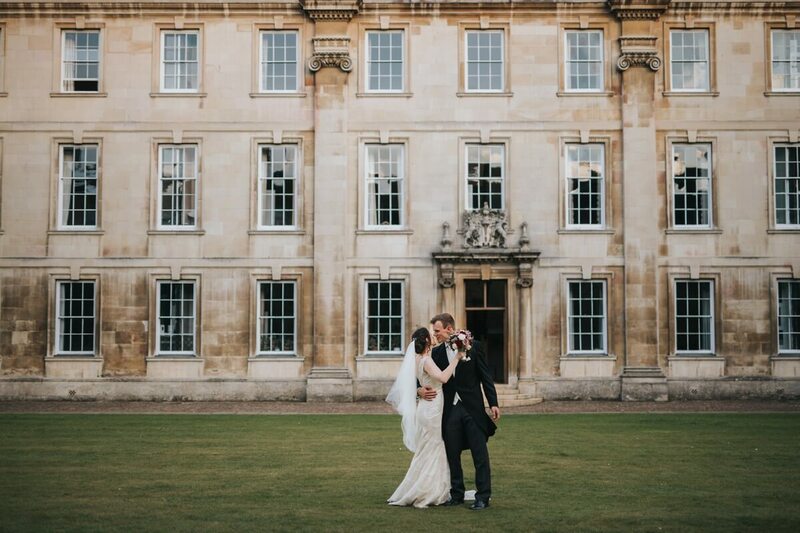 Emmanuel college was such a romantic setting for these two and the fading light made for some beautiful couples photographs, this was right before the evening party antic began. 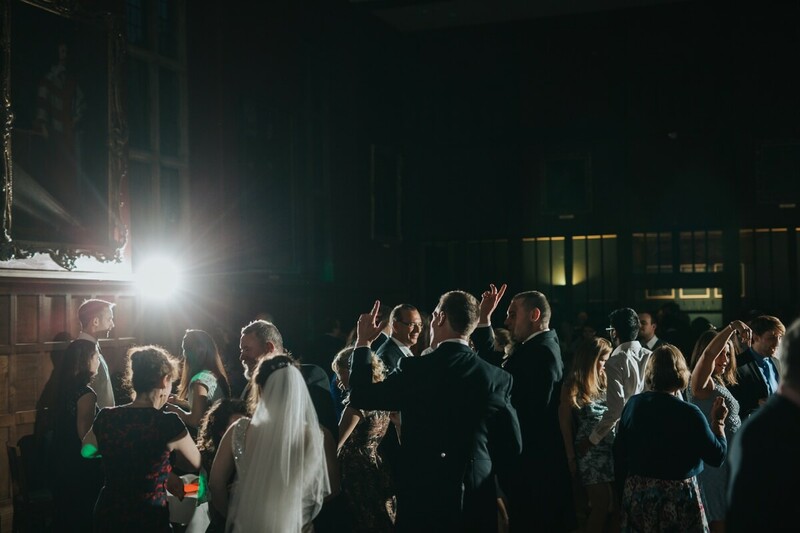 What a party it was.